This fantastic example of the Audi A6 is fitted with Satellite Navigation, heated leather upholstered seats, Bluetooth telephone and media use, Parking Sensors for the front and rear, Cruise Control with a speed limiter, an automatic Start/Stop system, dual zone Climate Control, Audi Drive Mode selections and a multi function Steering Wheel with paddle shifter. Also featured on this A6 are Arm Rests for the front and rear, Drinks Holders and a Central Locking system. This car has been well loved by its only owner. 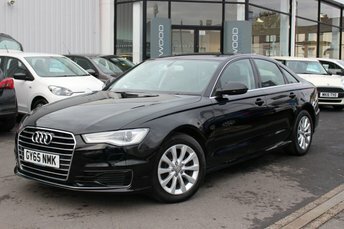 This fantastic example of the Audi A6 is fitted with an Audi Satellite Navigation system, Parking Sensors, dual zone Climate Control, Bluetooth telephone and media use, DAB Digital Radio, Audi Drive Mode selections, Cruise Control with a speed limiter, a multi function Steering Wheel with paddle shifters, Arm Rests for the front and rear, an automatic Start/Stop system, Central Locking and Drinks Holders. This car has been well loved and maintained with regular service. 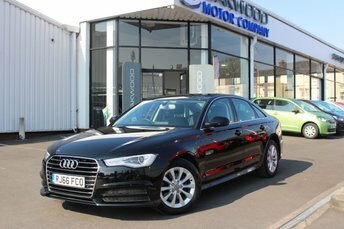 Get the best deal on a used Audi A6 Saloon car for sale in Manchester by making your way to Oakwood Motor Company Ltd today. You'll find every available model listed here on the website, and as all our stock is competitively priced you should have no problem sourcing a pre-owned Audi to suit your budget. Take the opportunity to browse our current range online before contacting a member of the showroom team to find out more. Our friendly and knowledgeable staff will be more than happy to answer any questions and provide advice and guidance when necessary. 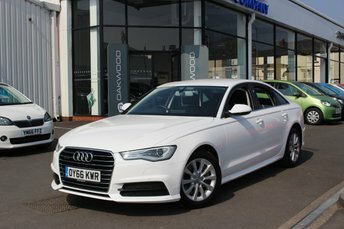 Alternatively, why not pay a visit to our showroom in person and take a closer look at the selection of used Audi A6 Saloon car models for sale.